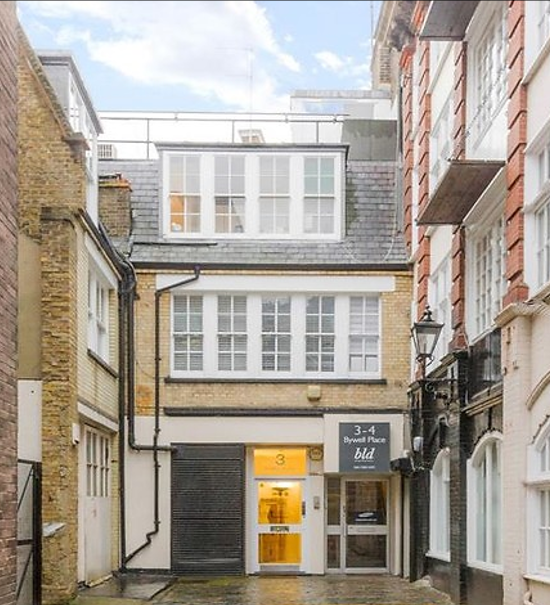 Located in the heart of Fitzrovia, 3 – 4 Bywell Place is situated on the west side of Bywell Place in close proximity to the junction with Wells Street and Mortimer Street. Fitzrovia is renowned for its array of independent retailers, coffee shops and other eateries. The building is in a prime spot for young media and fashion occupiers alike. Transport links are excellent with Goodge Street (Northern line), Oxford Circus (Victoria, Central and Bakerloo Lines) and Tottenham Court Road (Northern and Central lines) stations all within easy walking distance of the building. A sublease is available for a term to September 2025. An assignment of the entire lease is also available subject to the existing sublease on the first floor.